Fox News anchor Bret Baier is making the rounds for his new book Three Days in Moscow, about President Reagan’s groundbreaking visit to the Soviet Union 30 years ago this month. 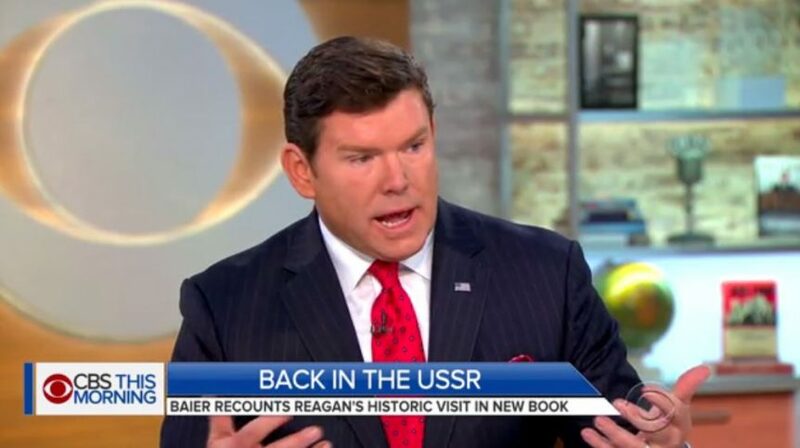 On CBS This Morning, Baier talked about the historic meetings between Reagan and Soviet leader Mikhail Gorbachev which led to the collapse of the USSR. “Fast forward to the last chapter to the book which looks at the threats that we face now,” Baier said, pointing to President Trump’s meeting next month with North Korea’s leader. “Obviously, I didn’t know that there was going to be a summit in Singapore. There might be some lessons to be learned for summits to come,” he said. 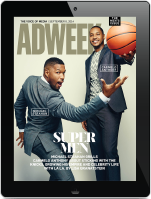 “Are you sending it over to anybody you know?,” Gayle King asked. “I’m not! But I’m just putting it out there,” said Baier. Several Trump Administration officials came out for Baier’s book part in D.C. last night, including, according to Politico Playbook, Commerce Secretary Wilbur Ross, Transportation Secretary Elaine Chao, Attorney General Jeff Sessions, Larry Kudlow, and Kellyanne Conway. Baier’s Fox news colleagues Chris Wallace, Jennifer Griffin, Peter Doocy, and Steve Hayes were also there.